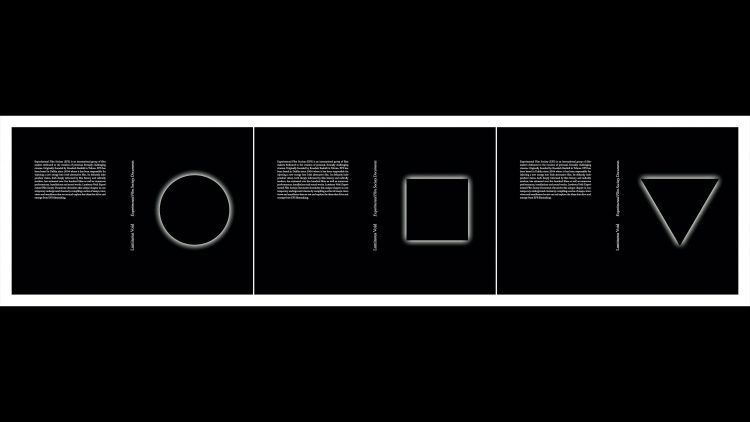 Experimental Film Society (EFS) is pleased to announce the publication of Luminous Void: Experimental Film Society Documents, a book chronicling the history of EFS. EFS is an international group of filmmakers dedicated to the creation of personal, formally challenging cinema. Originally founded by Rouzbeh Rashidi in Tehran, EFS has been based in Dublin since 2004 where it has been responsible for injecting a new energy into Irish alternative film. Its defiantly independent vision, both deeply informed by film history and radically modern, has animated over five hundred films as well as numerous performances, installations and sound works. Luminous Void: Experimental Film Society Documents chronicles this unique chapter in contemporary underground cinema by compiling a series of essays, interviews and manifestos that set out and explore the ideas that drive and emerge from EFS filmmaking. It includes new texts by renowned film critic Adrian Martin, and by Alice Butler & Daniel Fitzpatrick, the curatorial team behind aemi (artists and experimental moving image).